Rome, Arata and Baxley is proud to defend the rights of San Antonio area railroad workers. 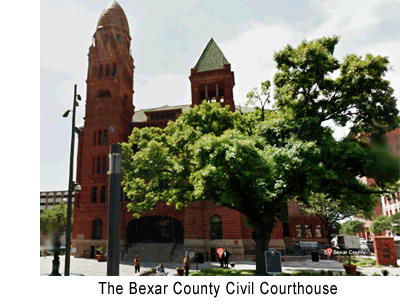 We have successfully handled railroad injury cases in Bexar county against Union Pacific and Amtrak, among others. The San Antonio area railroads recognize our name and know that it means that the injured worker is represented by one of the best railroad union attorneys in Texas. We are extremely proud of the results we have achieved for our San Antonio area FELA clients. Please feel free to ask us for a referral and we will put you in contact with one or several of our satisfied FELA clients from San Antonio or the surrounding areas. Burlington Northern and Santa Fe Railroad is the corporate heir to the Atchison Topeka and Santa Fe Railroad which was operating in San Antonio before 1900. In September of 2016, BNSF held a celebration opening Cadet Yard in Van Ormy, TX, 10 miles southwest of San Antonio. The new facility has the capacity to operate as a switching yard and a classification yard. BNSF traffic from Mexico that enters from Eagle Pass will be routed to Cadet Yard in Van Ormy instead of being classified in Temple, TX. The new yard will allow BNSF to switch and classify rail traffic closer to Mexico, and allow more effecient delivery to Gulf Coast rail customers. 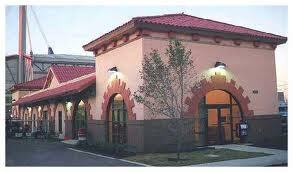 Amtrak, the national passenger railroad, provides service to San Antonio at the San Antonio Amtrak Station at 350 Hoefgen Street, San Antonio, TX 78205. The Texas Eagle operates daily between San Antonio and Chicago's Union Station. Amtrak also operates its Sunset Limited three times a week in each direction through San Antonio between Los Angeles and New Orleans. Union Pacific Railroad is the corporate heir to the Southern Pacific and Missouri Pacific railroad systems among others. As such, they have been operating railroads in San Antonio since before the turn of the last century. San Antonio's population and jury pool is a reflection of its location and its diversified economy. Like other cities in the Southwest United States, San Antonio has a high percentage of Hispanics, including many recent immigrants. The economy has four primary focuses: financial services, government, health care, and tourism. Located about 10 miles northwest of Downtown is the South Texas Medical Center, which is a conglomerate of various hospitals, clinics, and research (see Southwest Research Institute) and higher educational institutions. Twenty million tourists visit the city and its attractions every year, contributing substantially to the city's economy. The Henry B. Gonzalez Convention Center alone hosts more than 300 events each year with over 750,000 convention delegates from around the world. Tourism employs 94,000 citizens. San Antonio is home to five Fortune 500 companies: Valero Energy Corp, Tesoro, USAA, Clear Channel Communications and NuStar Energy. The city is also home to one of the largest military concentrations in the United States. The defense industry in San Antonio employs over 89,000 and provides a $5.25 billion impact to the city's economy. San Antonio is one of the oldest cities in the Southwest United States. On June 13, 1691, a group of Spanish explorers and missionaries came upon Yanaguana, a Payaya Native American settlement along what is now the San Antonio River. June 13, is the feast day of St. Anthony of Padua, so they named the place and river "San Antonio" in his honor. The San Antonio and Mexican Gulf Railroad opened in 1858, carrying passengers and freight two or four times a day over the short section extending from Port Lavaca to a point on the coastal prairie near San Antonio. This line was later ordered to be destroyed during the U.S. Civil War by General John B. McGruder and later rebuilt by occupying military forces. In 1877, The Galveston, Harrisburg and San Antonio Railway Company, completed an extension of their line from Columbus, Texas to San Antonio, Texas, connecting San Antonio by railroad to the major port city of Houston. This connected San Antonio to the mainstream of American society. In the early 1880s the Galveston, Harrisburg and San Antonio Railroad built across West Texas to El Paso forming the first transcontinental route across the state and through San Antonio. Today San Antonio is the 7th largest city in the United States and the second most populous city in the state of Texas, with a population of 1.3 million. Not surprisingly as San Antonio grew, the railroads thrived and today the San Antonio area railroads continue to provide critical transportation of goods in and out of this pivotal transportation hub in South Texas.